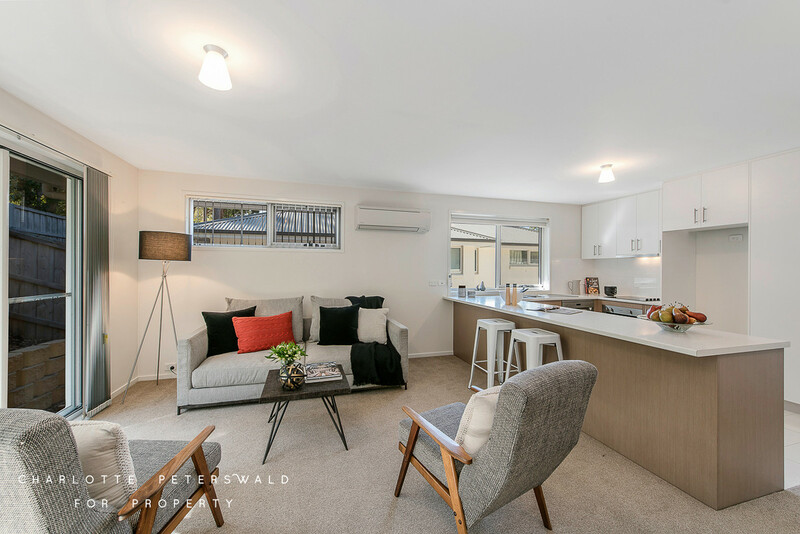 Privately positioned at the end of a quiet cul-de-sac and enjoying a sunny north facing aspect, this contemporary townhouse has a functional floorplan complemented by tastefully designed contemporary interiors and offering a vibrant lifestyle within easy reach of South Hobart Village and Hobart’s CBD. 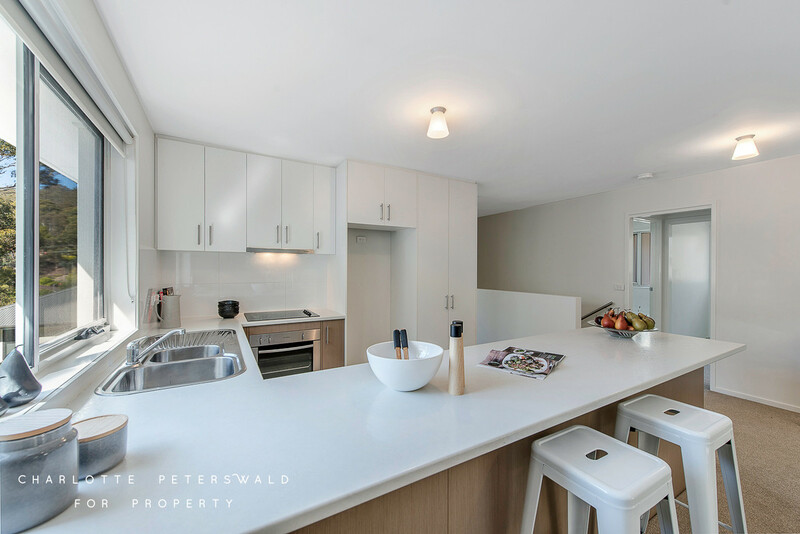 Set across two levels, the heart of the home is found on the upper level where light filled open plan living comprises a dining and lounge area and sleek galley style kitchen with quality appliances and capacious storage. 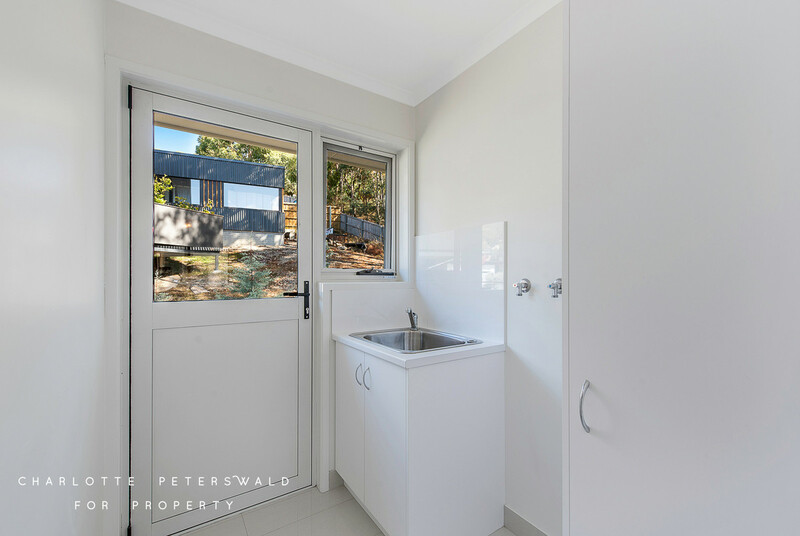 Glass sliding doors open onto the rear sundeck and garden, creating seamless indoor/outdoor living for relaxing alfresco. 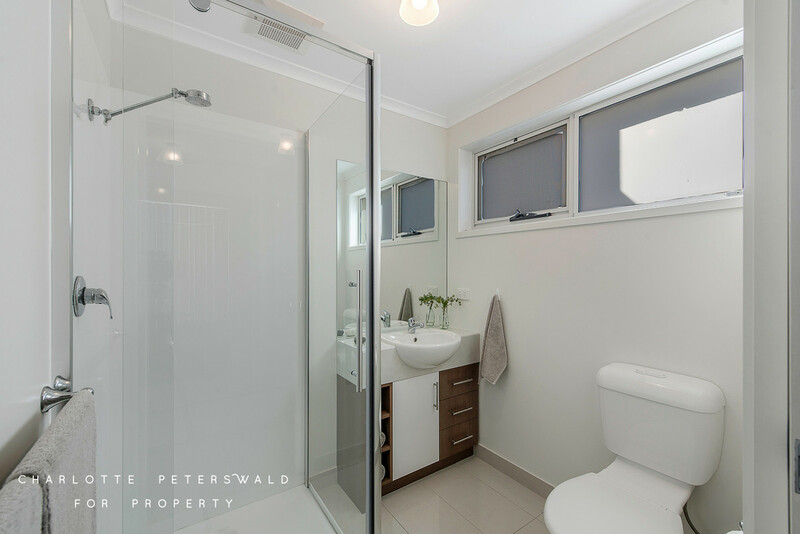 There are two double bedrooms on the upper level, both with built in robes and one with ensuite. 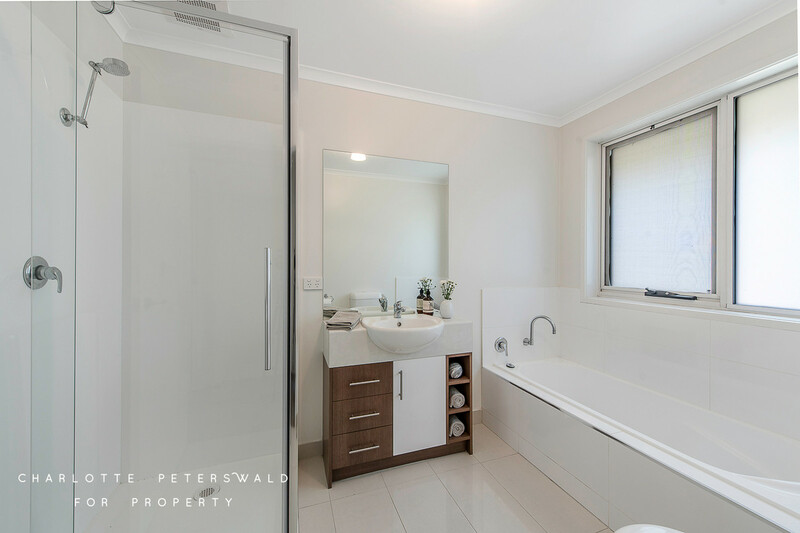 The second is serviced by the central bathroom with a luxurious bathtub and separate shower. 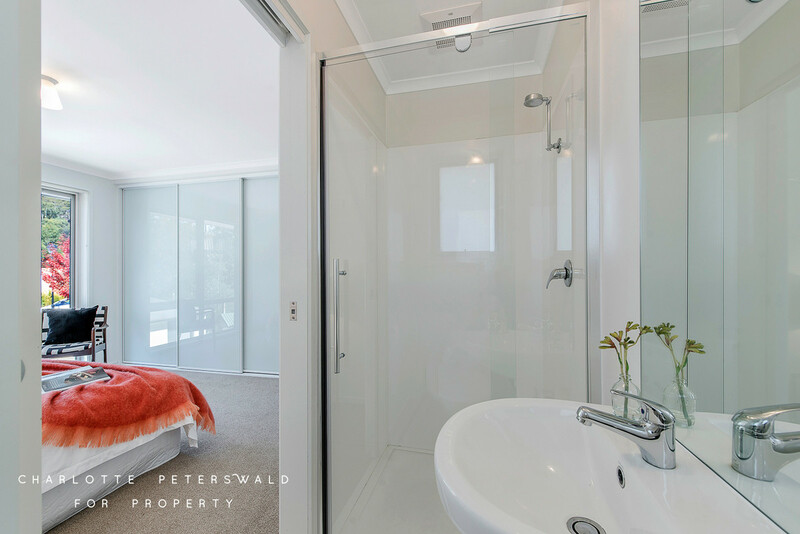 Downstairs the private master suite has a walk in robe and ensuite. 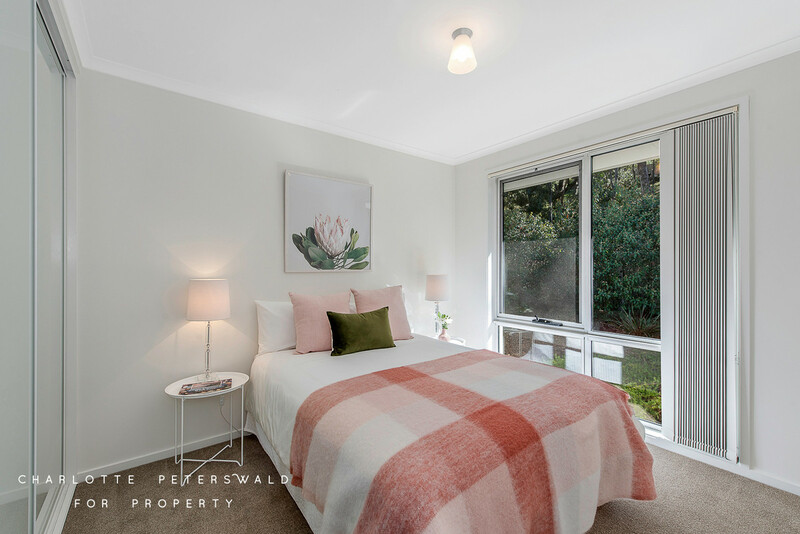 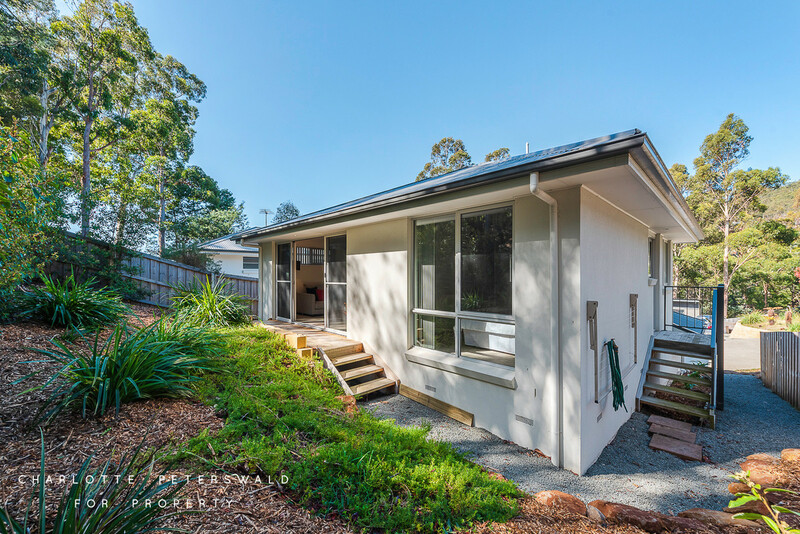 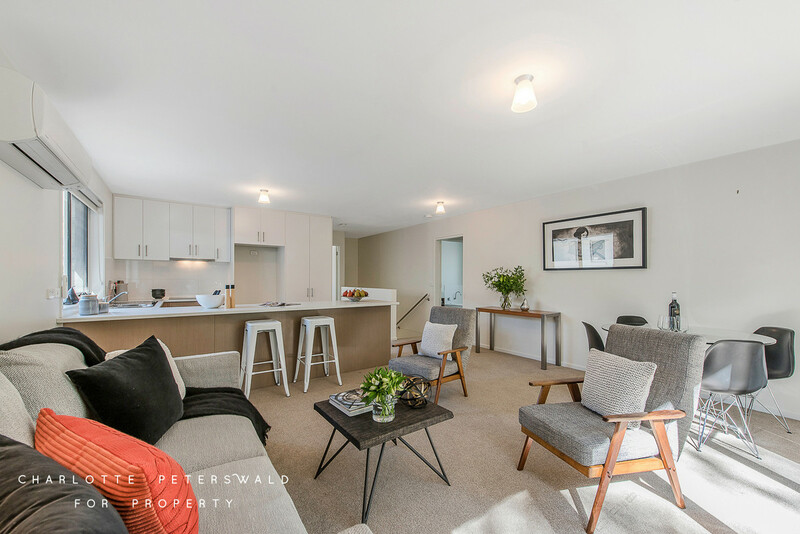 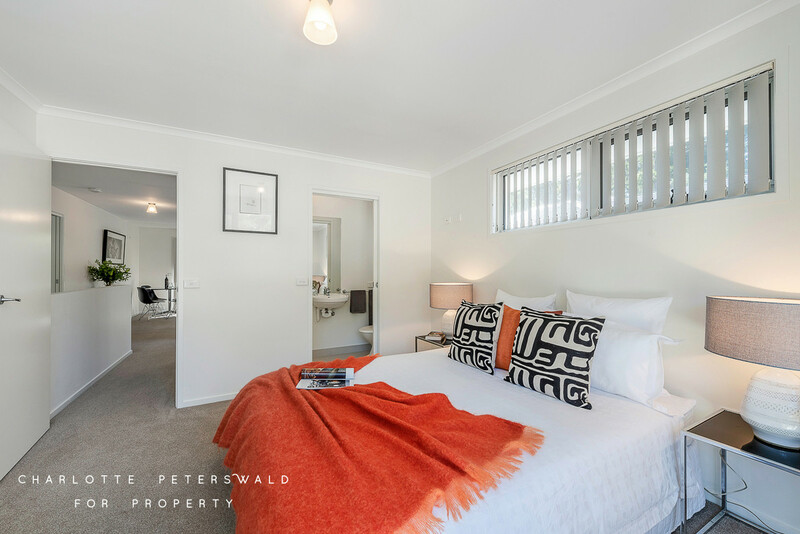 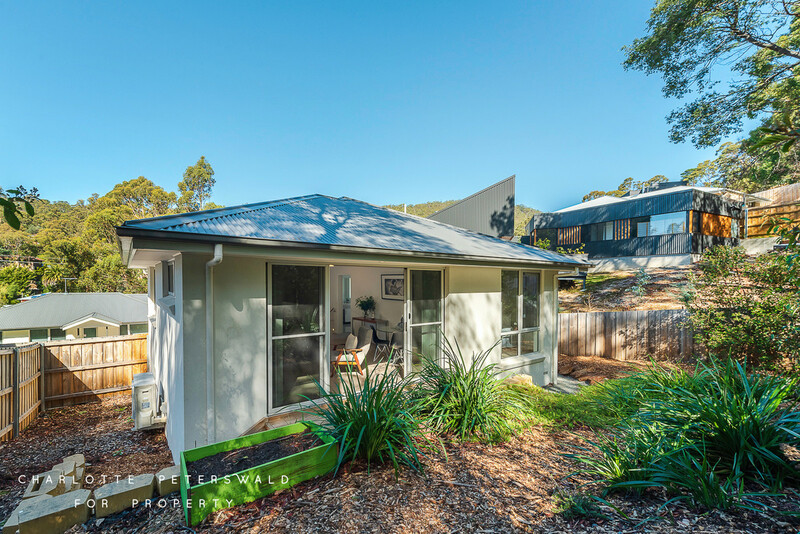 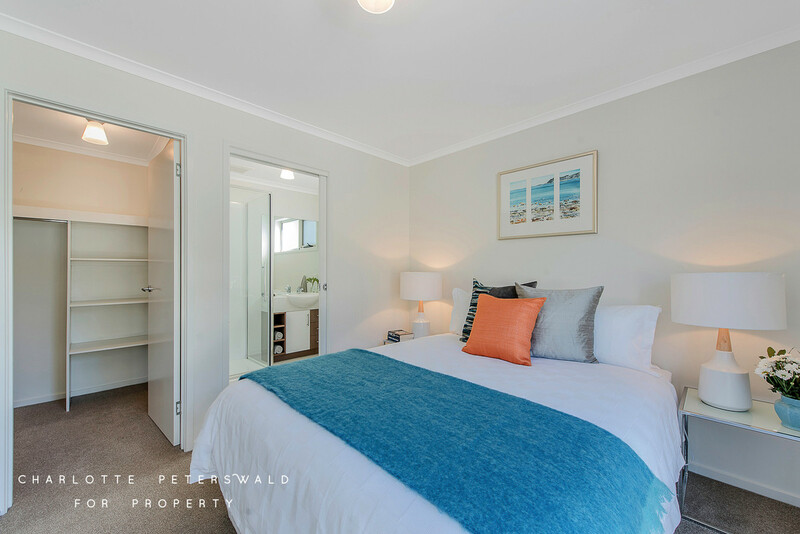 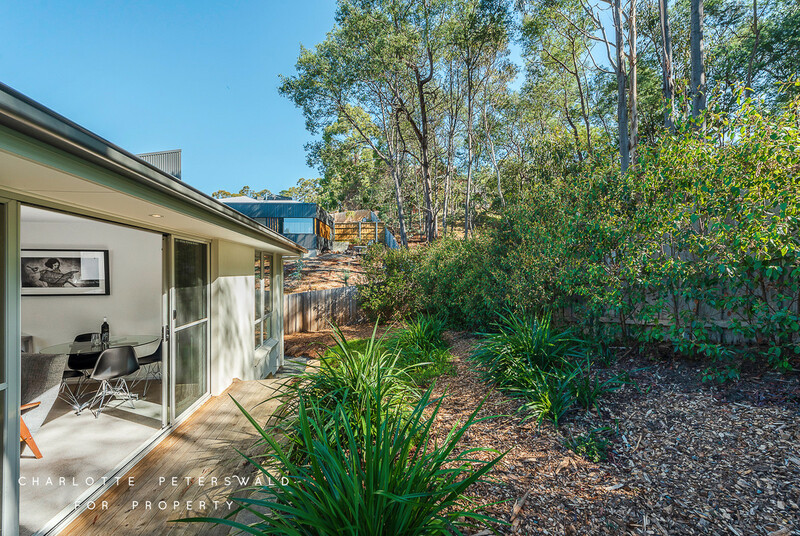 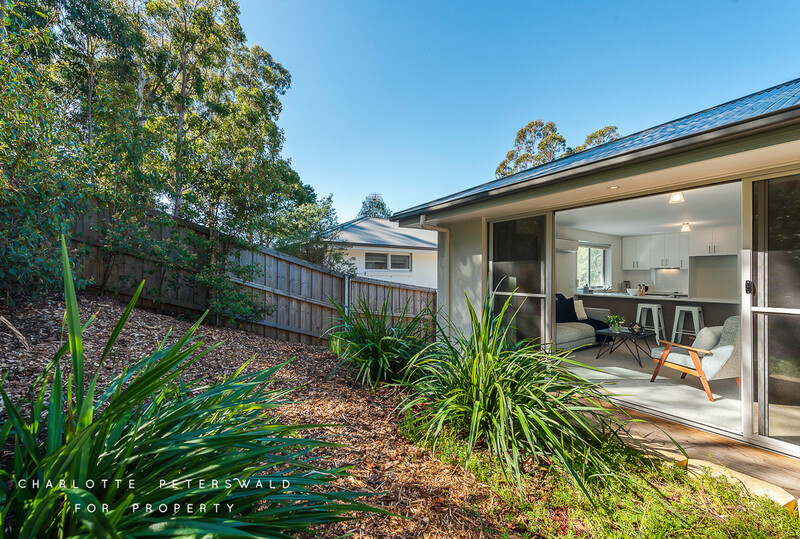 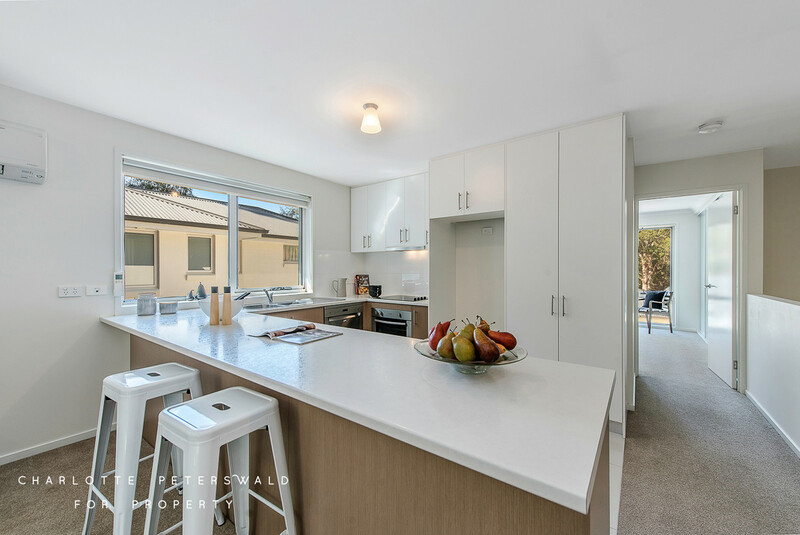 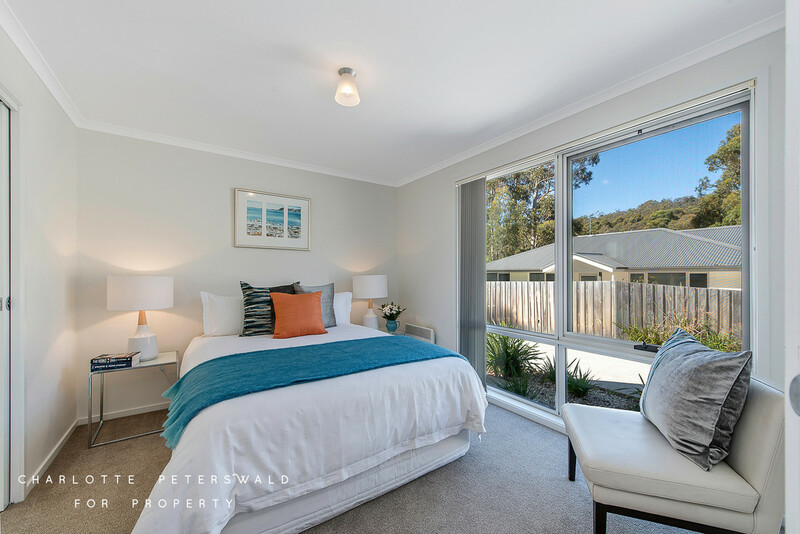 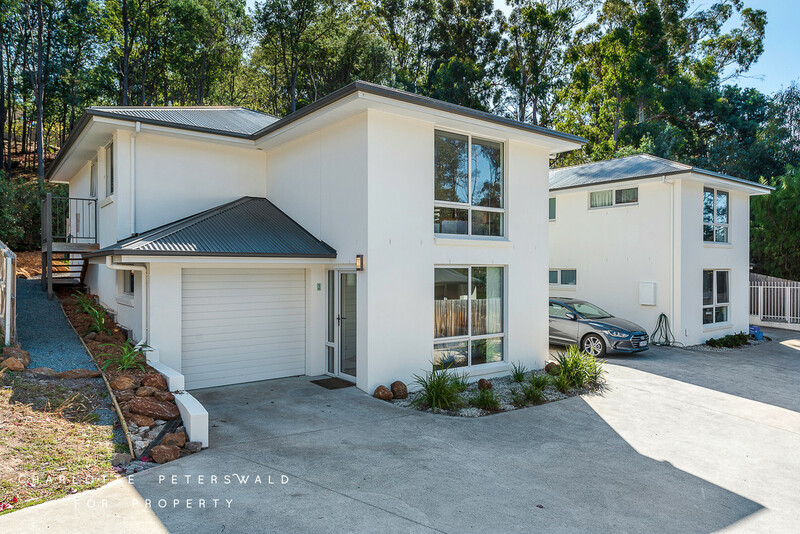 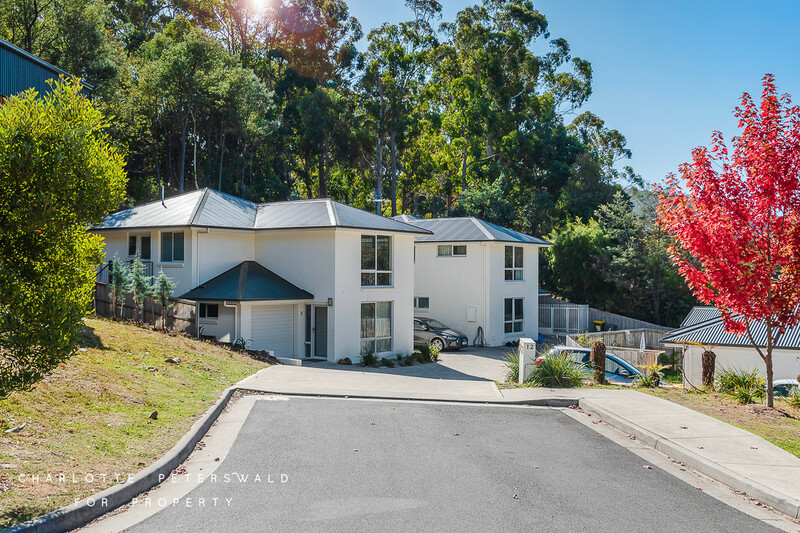 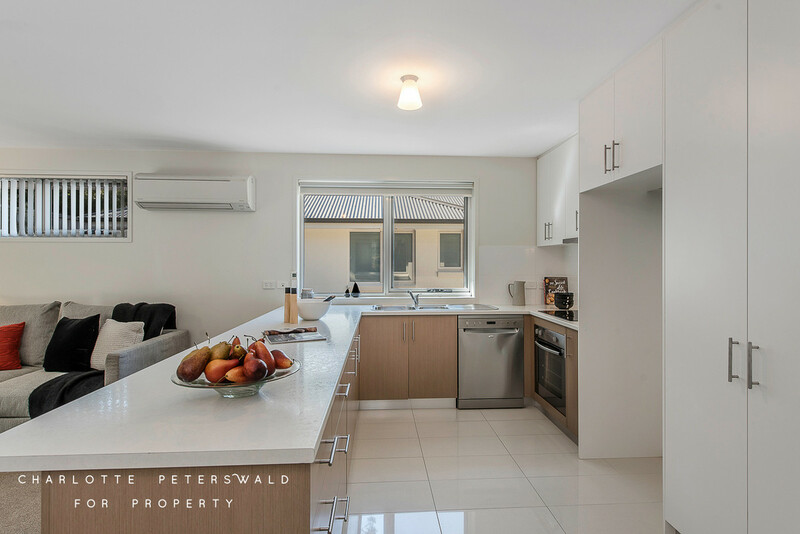 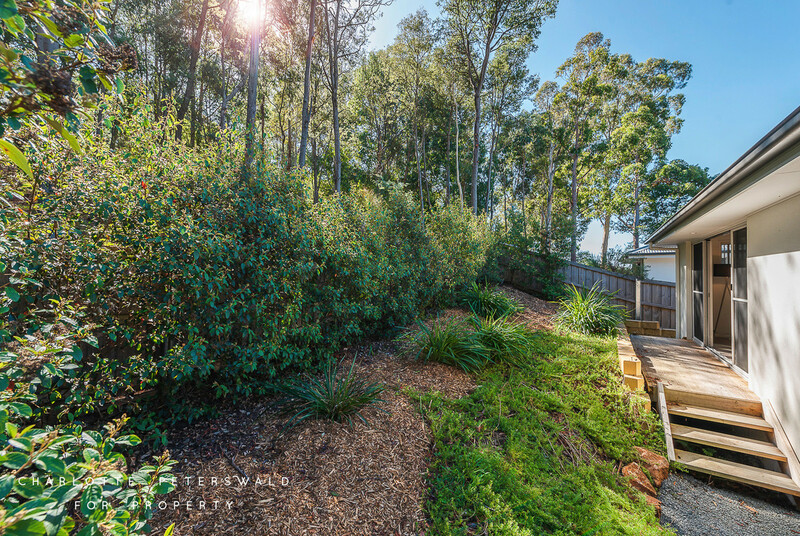 With quality fixtures and fittings throughout, reverse cycle air conditioning, NBN connection, garage with internal access, extensive sub floor storage and an additional car space on title, an eight star energy rating enhances the home’s environmental credentials. 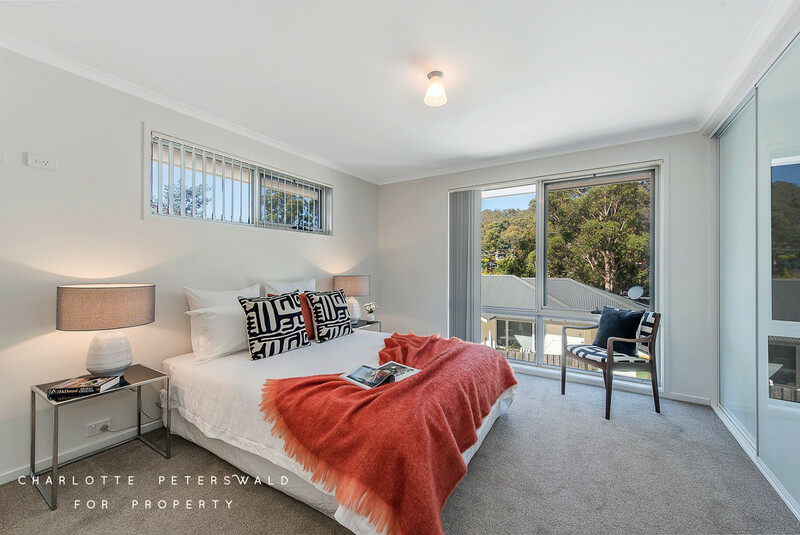 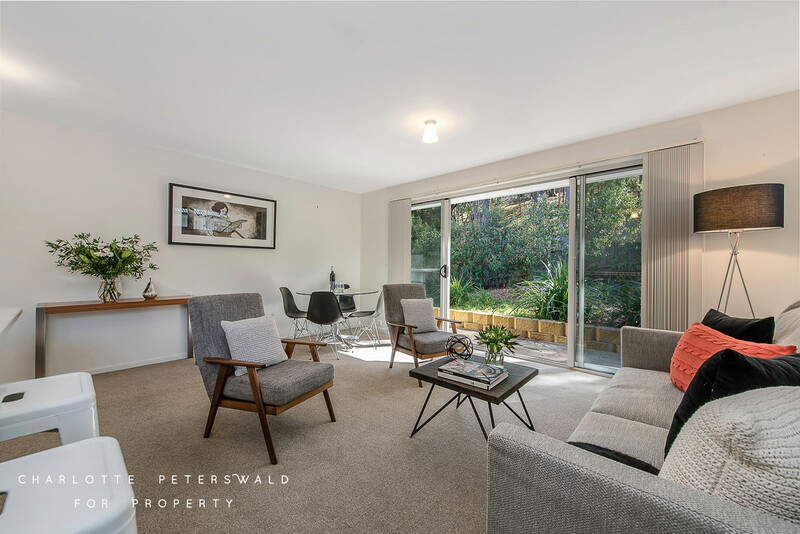 Close to local schools, public transport and within ten minutes of the CBD, this property will appeal to a range of purchasers from professional couples to downsizers seeking to enjoy the very best of modern living in a relaxed setting in one of Hobart’s most sought after suburbs.